Katherine Jackson (in photo) lost guardianship of her grandchildren to TJ, son of her son Tito, temporarily, earlier this week. But she is set to put forward a motion to the court today (July 27) asking that Katherine and TJ share responsibility for the kids. 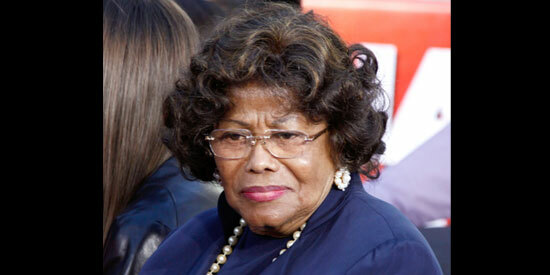 Katherine Jackson and her grandson TJ are set to share custody of Michael Jackson’s children. Katherine lost guardianship of her grandchildren to TJ, son of her own son Tito, temporarily, earlier this week. But she is set to put forward a motion to the court today (July 27) asking that the pair share responsibility for the kids. The decision has been made with Michael’s oldest son, Prince Michael, 15, and the agreement of his siblings Paris, 14, or Blanket, 10, according to Katherine’s lawyer Perry Sanders. Sanders said: "Later this morning, TJ Jackson’s attorney, Charles Shultz, will be filing a petition for TJ to be appointed permanent guardian of Michael Jackson’s three children. "The court ordered that this petition be filed pursuant to the temporary guardianship he granted TJ on Wednesday of this week. "However, after a very productive meeting yesterday, first between Mrs. Jackson and me, and then joined by Prince Jackson, TJ Jackson, and Mr. Shultz, it was agreed by all that it is in the best interest of Mrs. Jackson and the children to file a modified joint pleading at the beginning of next week. "With some changes, that pleading will essentially now legally reflect how Mrs. Jackson and TJ have often shared responsibilities of raising the children since Michael Jackson’s tragic passing. "Following reaching agreement, Margaret Lodise, the court-appointed guardian ad litem for the children, was brought into the meeting by conference call. Ms. Lodise confirmed with Prince that the agreement reflected the wishes of all the children. "The joint filing will request that the court reinstate Mrs. Jackson and appoint TJ as a co-guardian of Michael’s children." The lawyer went on to say that the decision has been reached in order to avoid a repeat of the drama of this week when accusations—including that Katherine had been kidnapped—were flying between warring family members. He said: "If the court grants this joint request, it will eliminate concerns such as the ones triggered by the events of the last few days. "It will also empower TJ to take joint legal responsibility for certain day to day duties such as the management of household personnel, including security. "It will also make clear for school personnel and anyone else coming into contact with the children that TJ can act on their behalf. "TJ has frequently attended school conferences and dealt with school related matters and this agreement, if approved by the court, allows for continuity as sanctioned by the court."